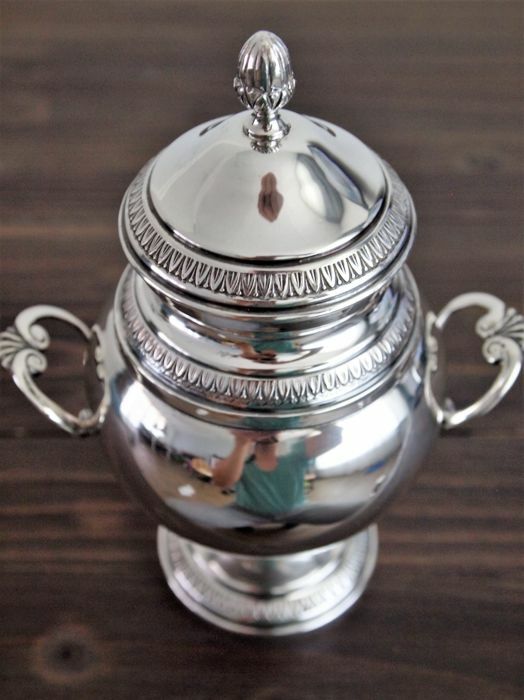 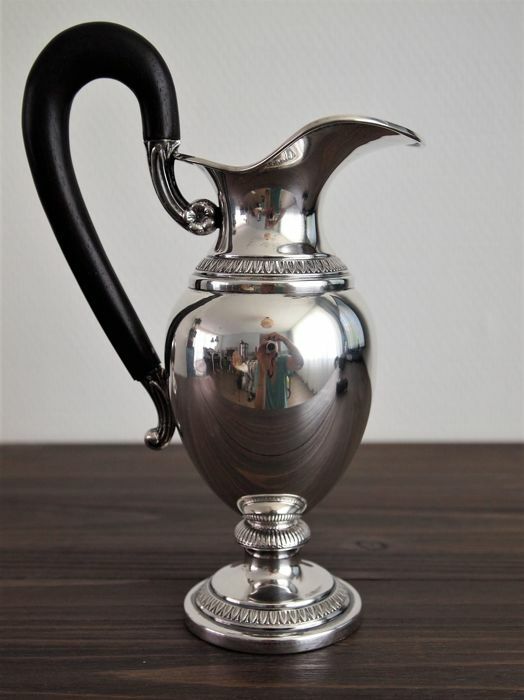 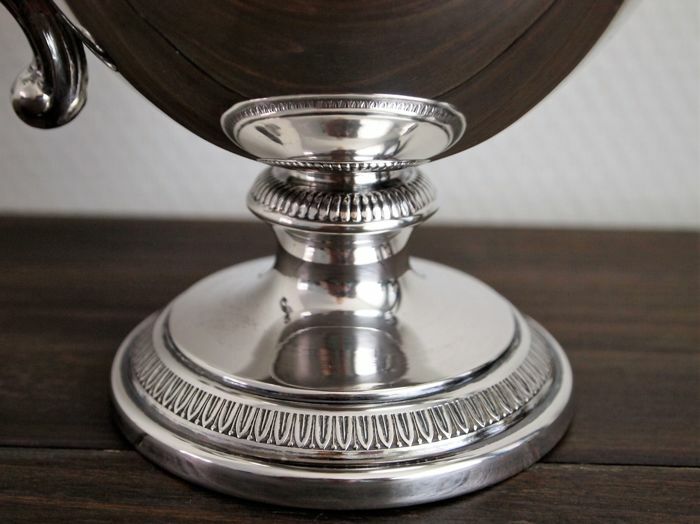 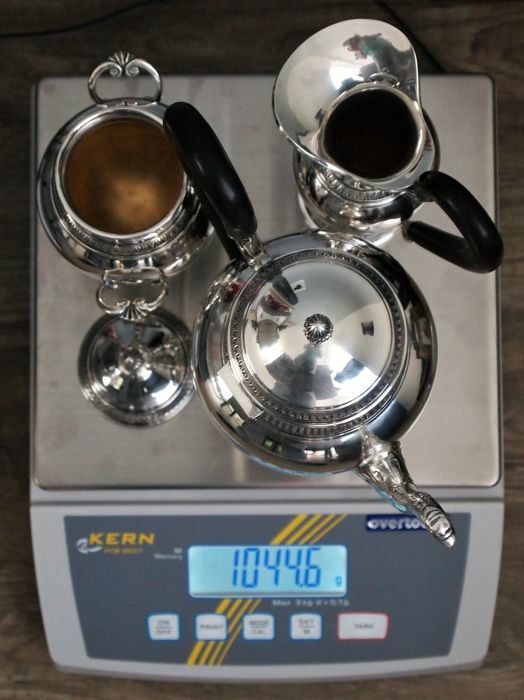 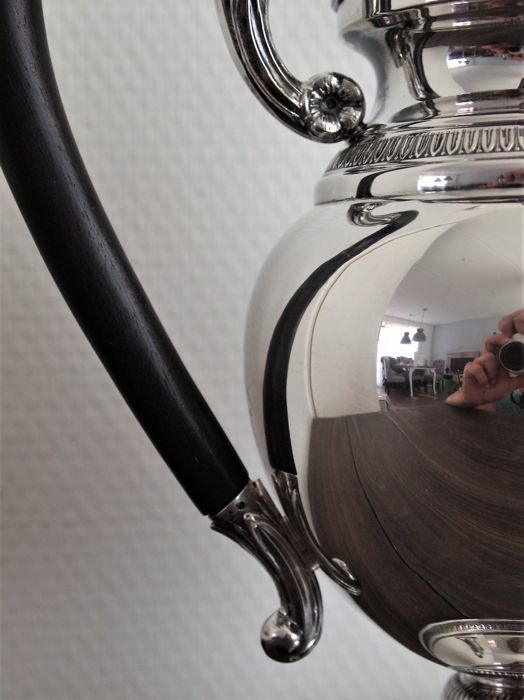 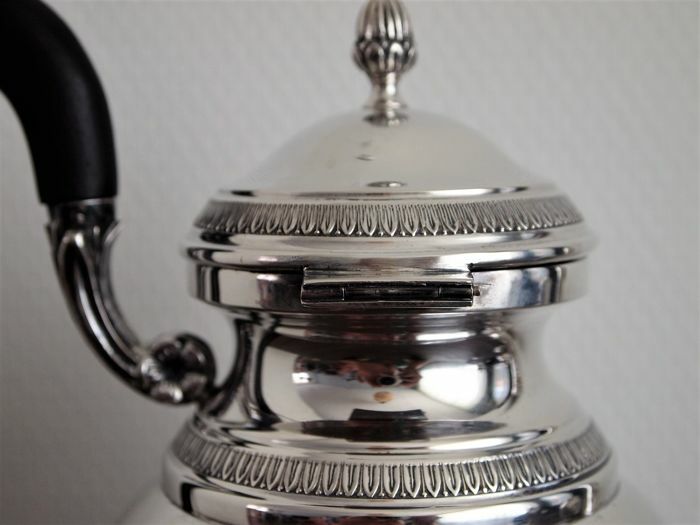 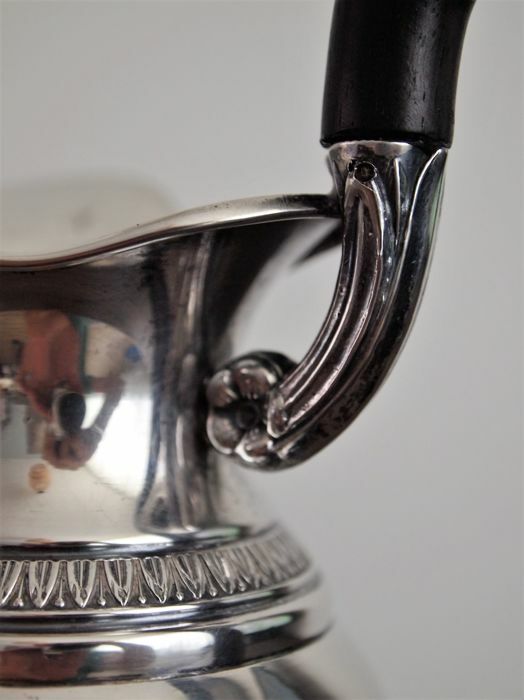 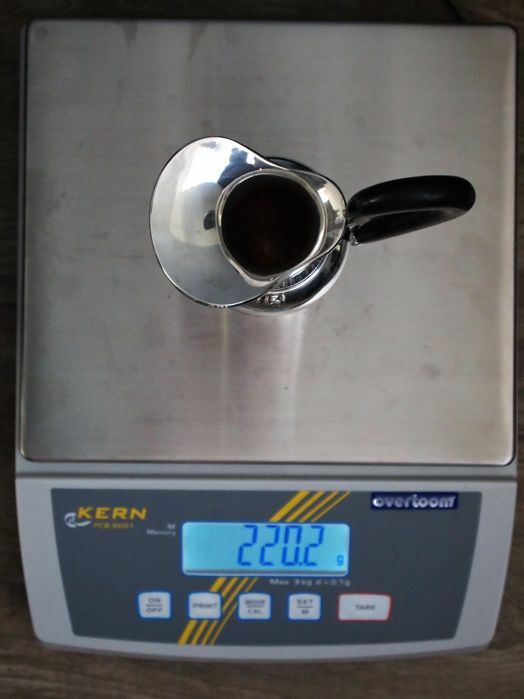 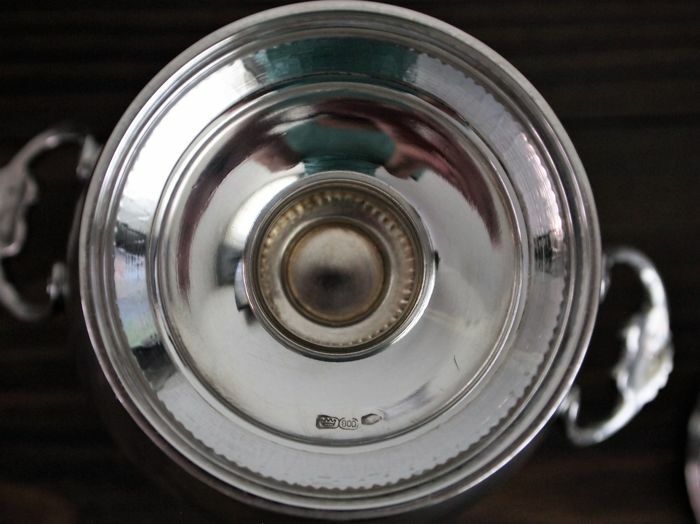 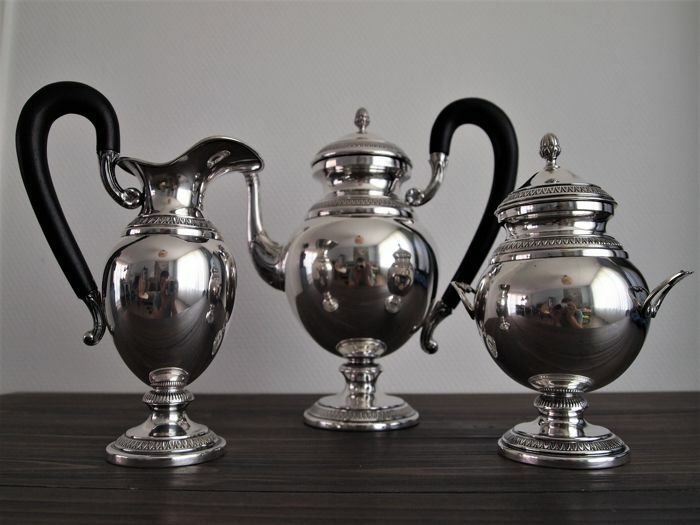 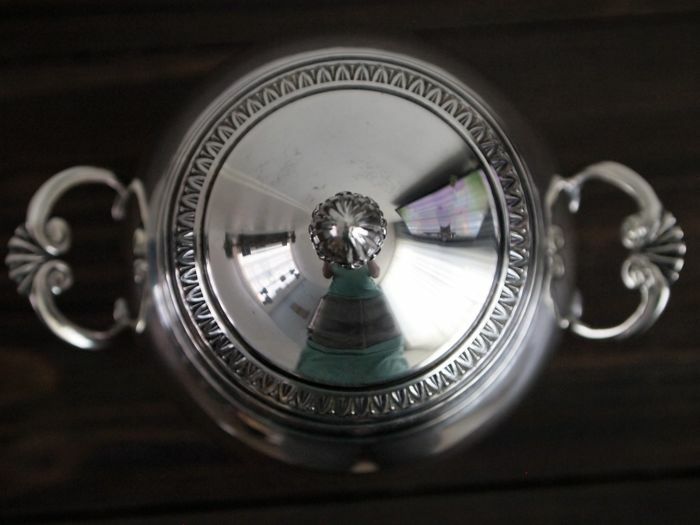 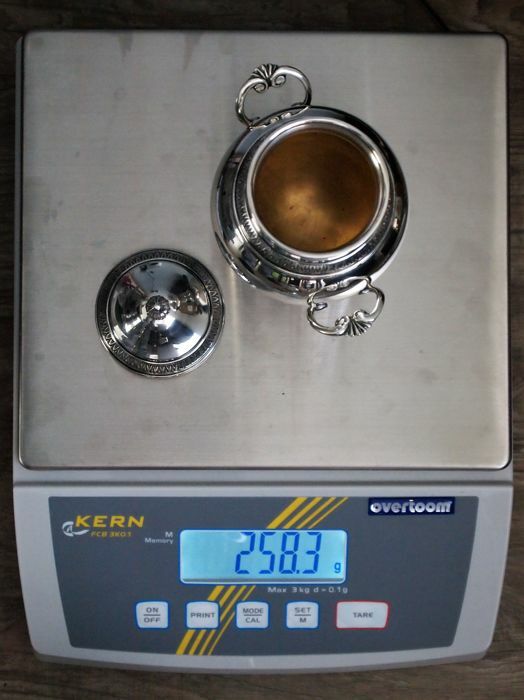 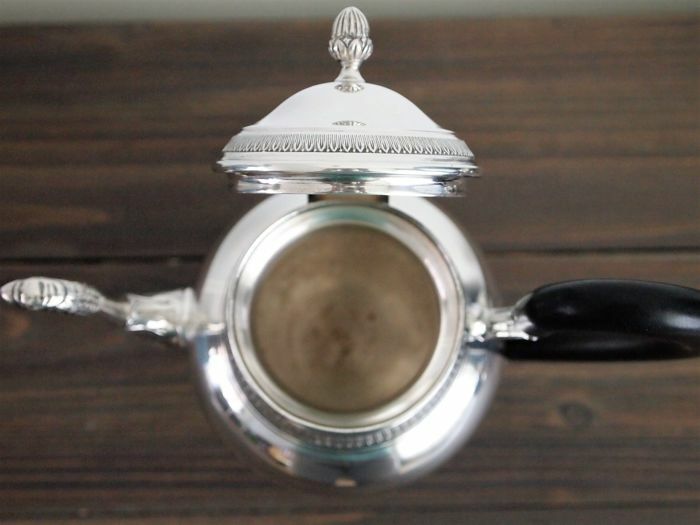 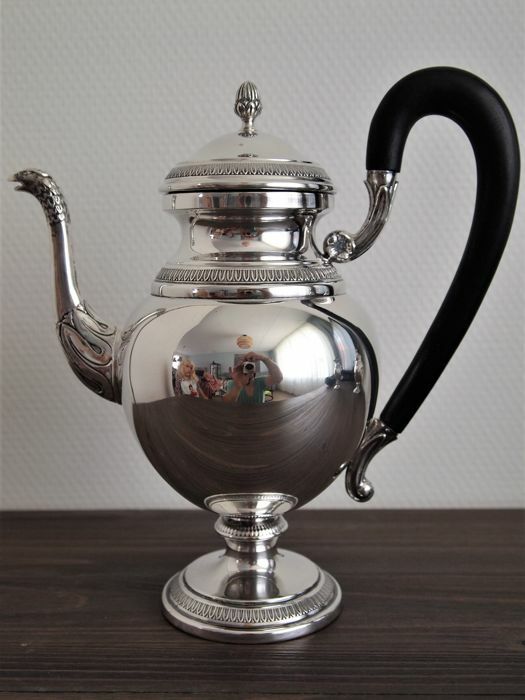 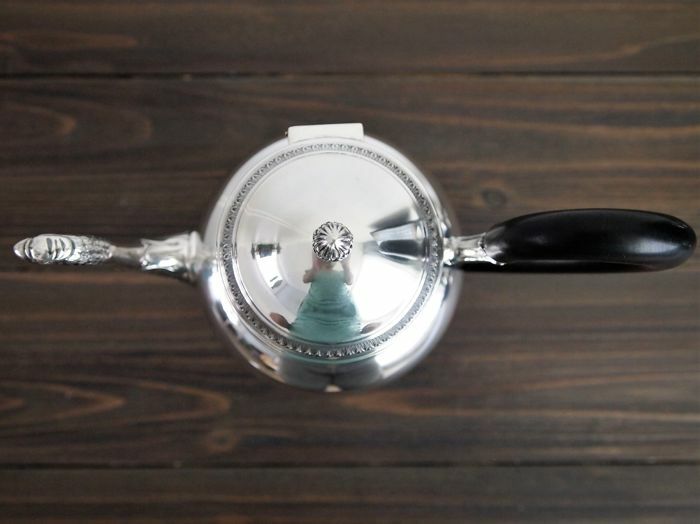 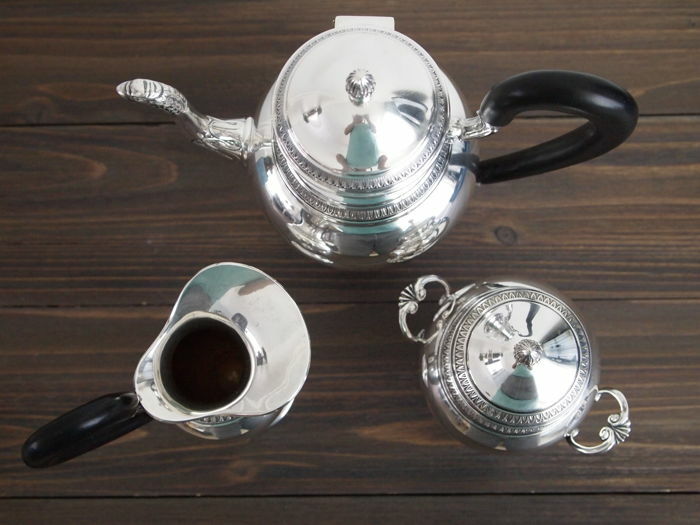 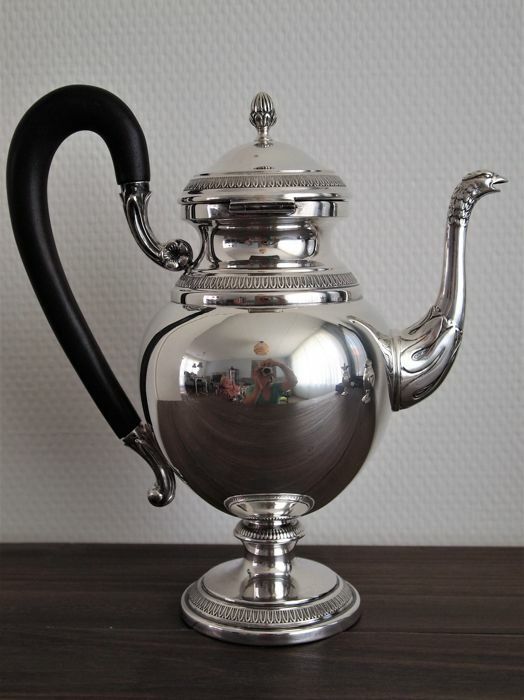 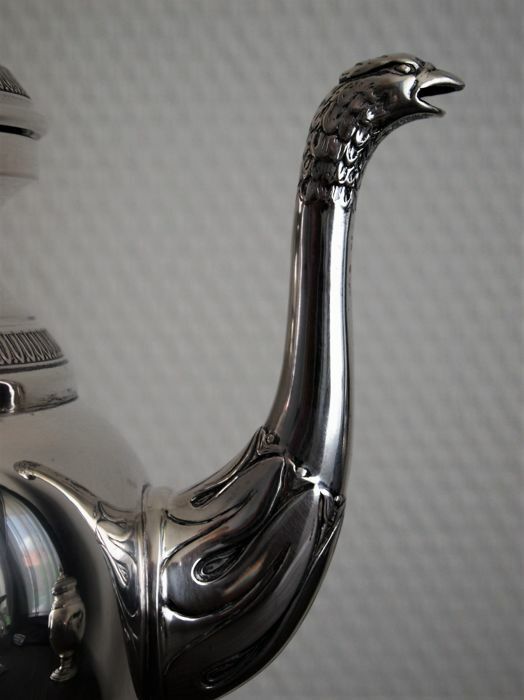 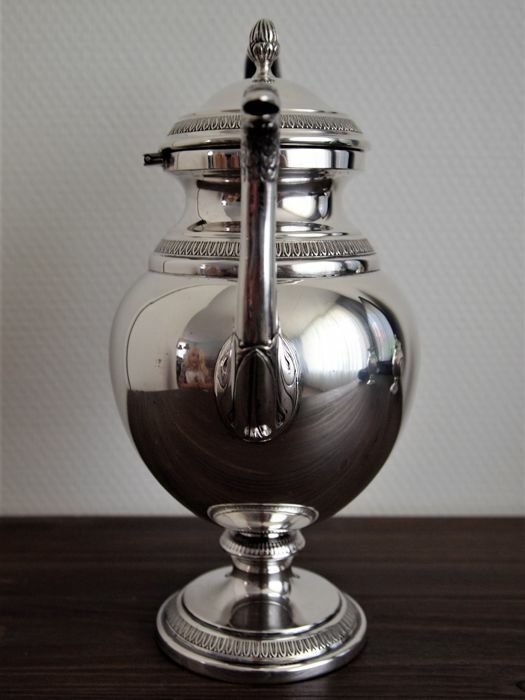 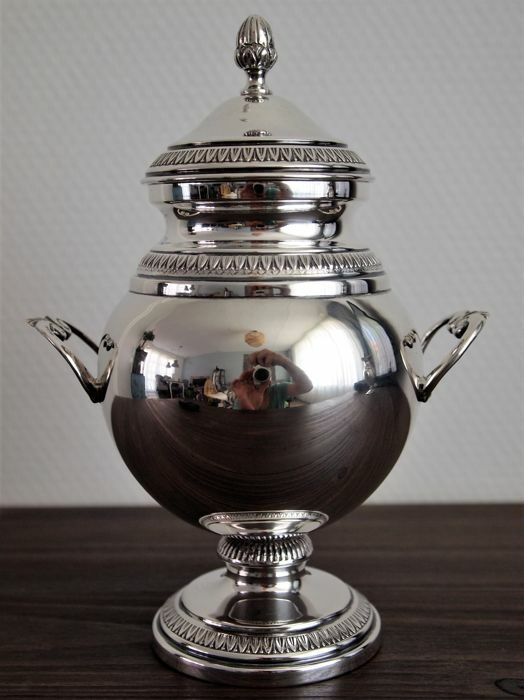 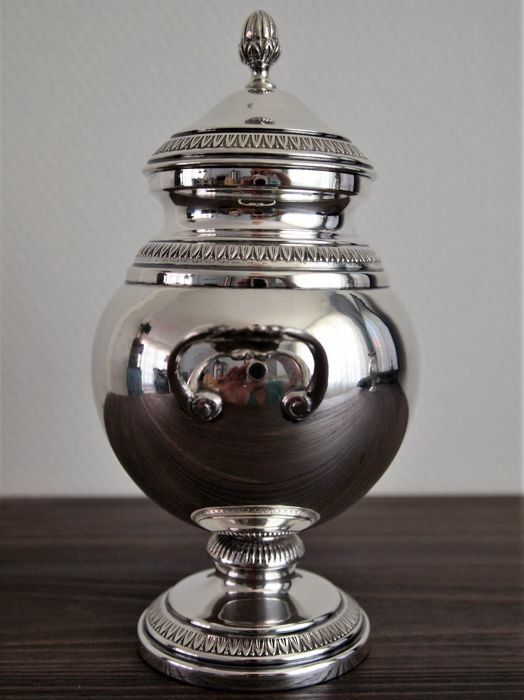 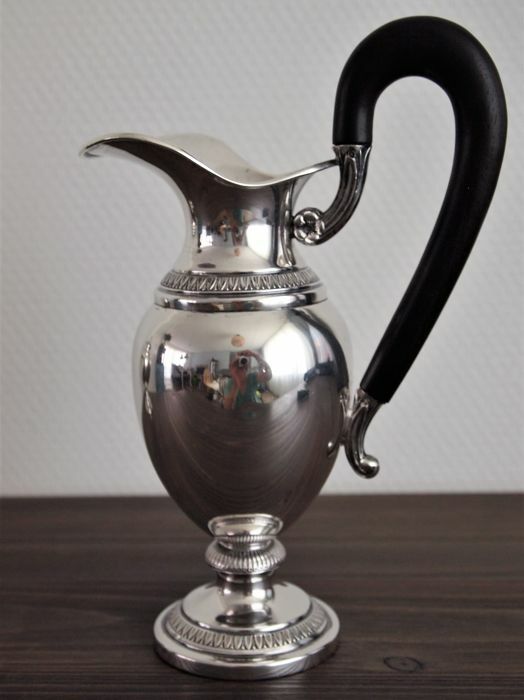 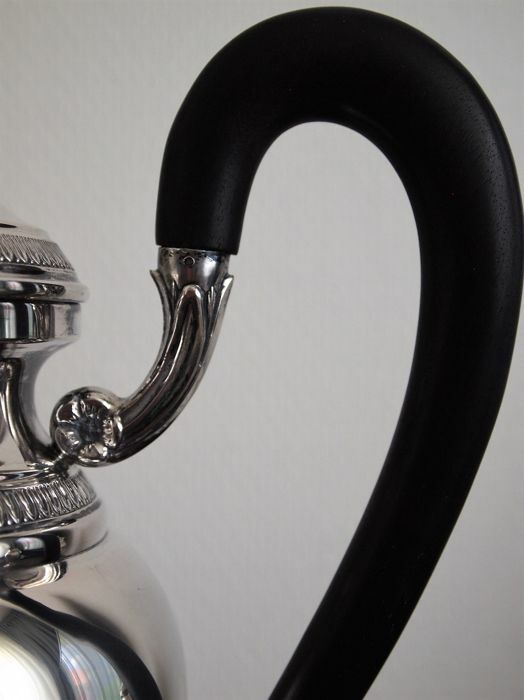 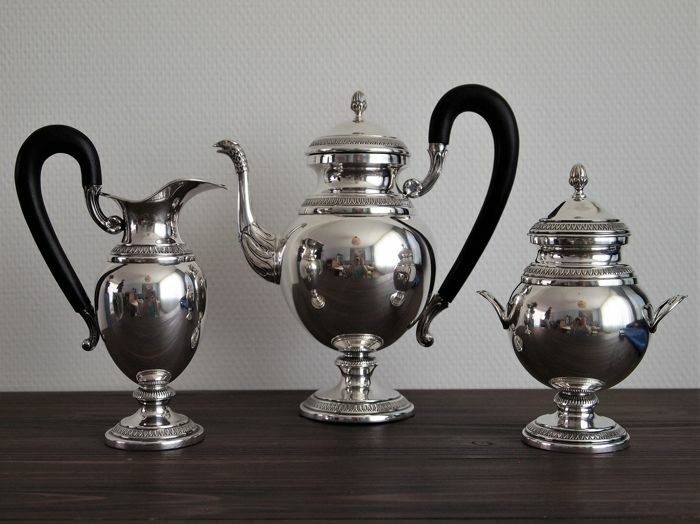 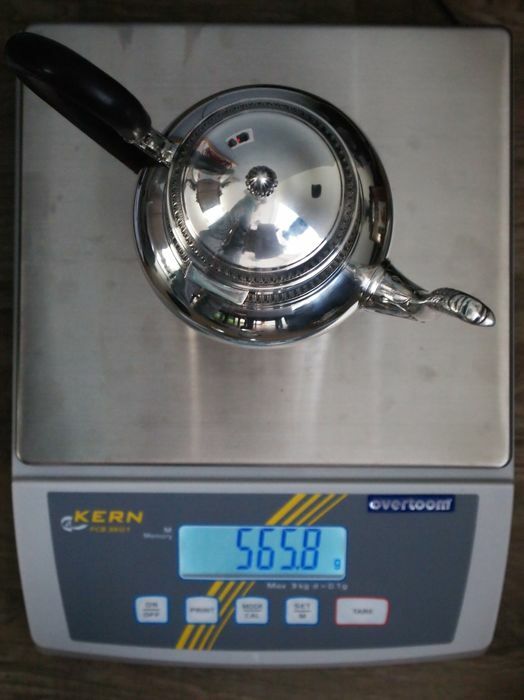 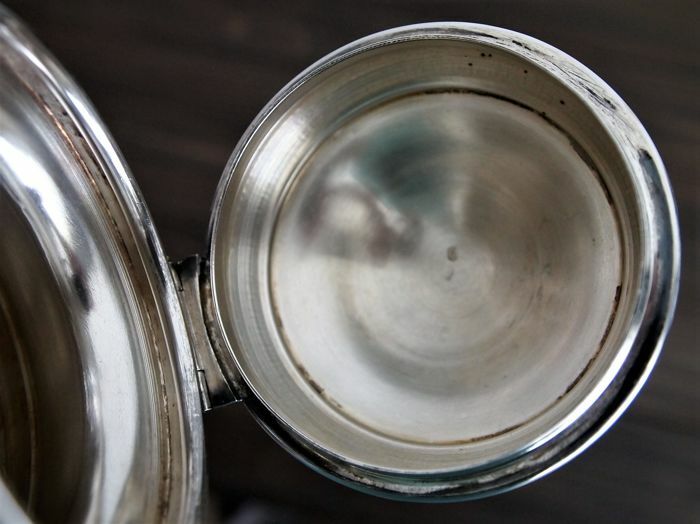 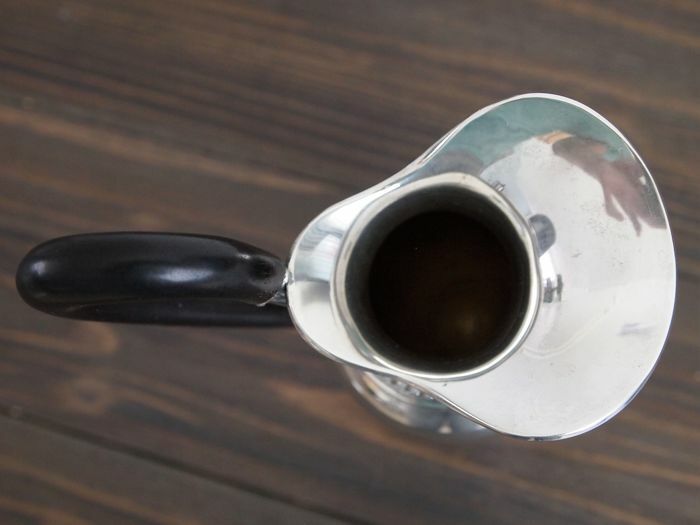 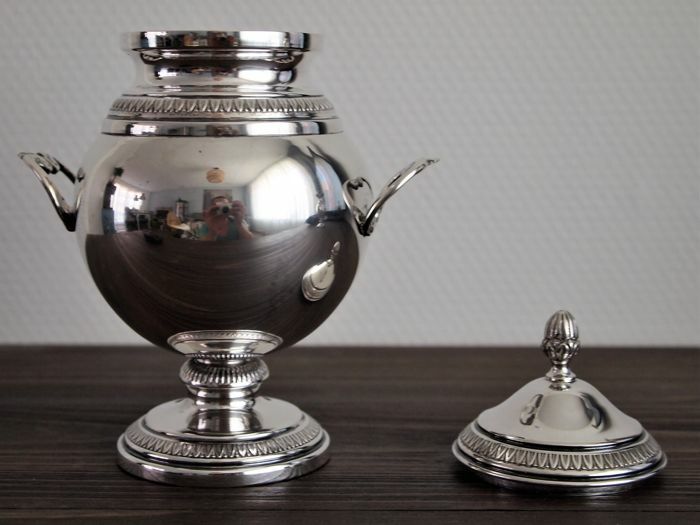 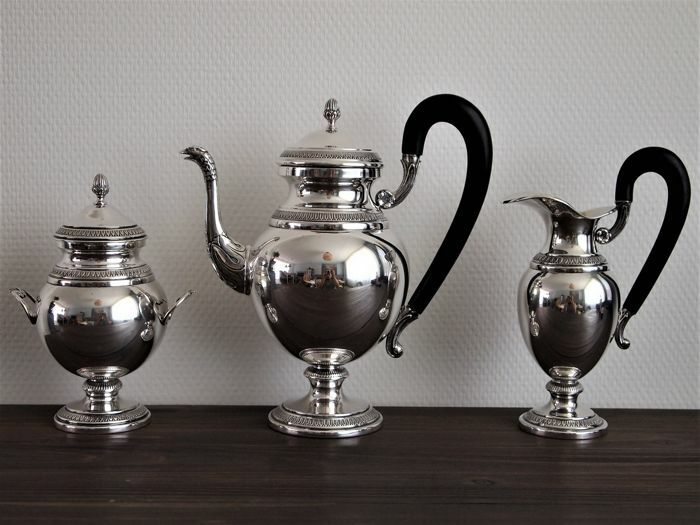 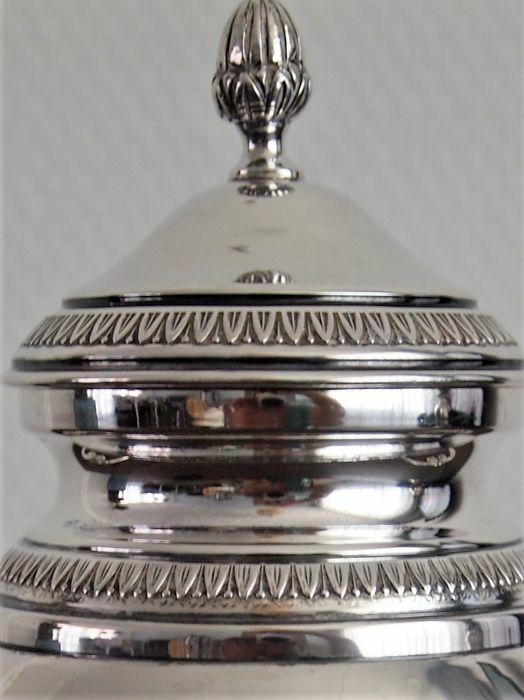 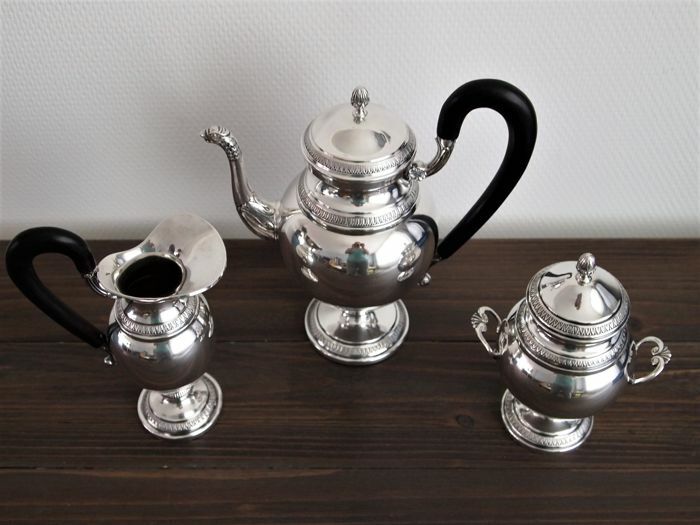 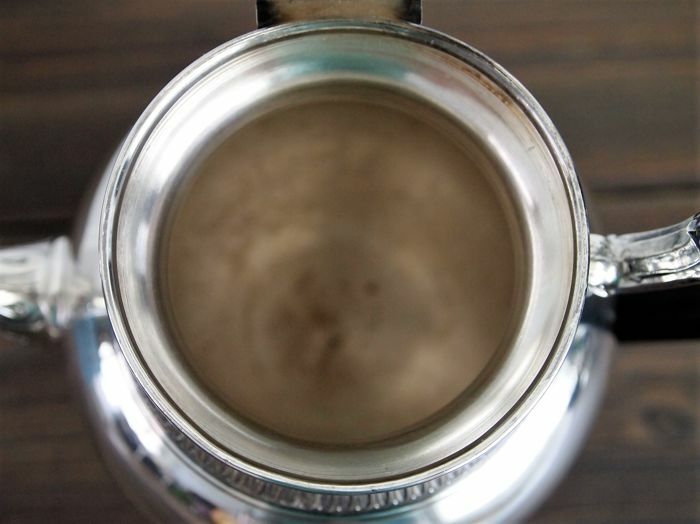 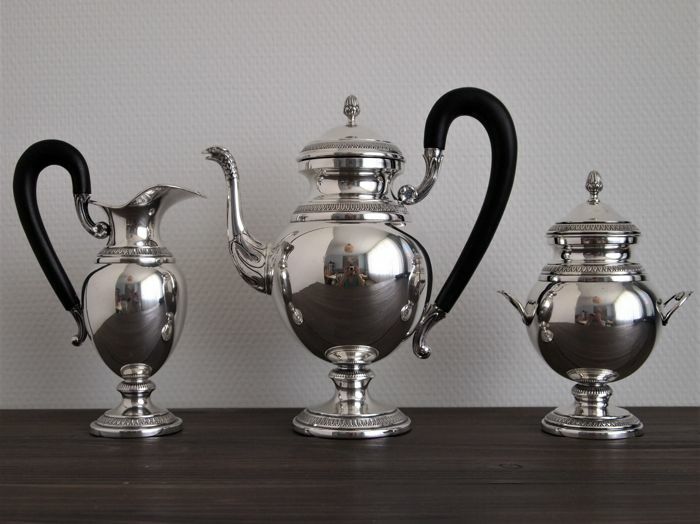 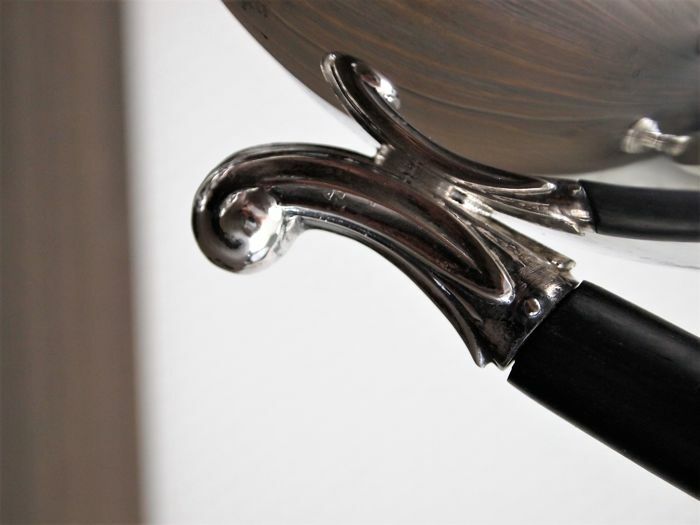 Gorgeous Silver Empire style Coffee set . 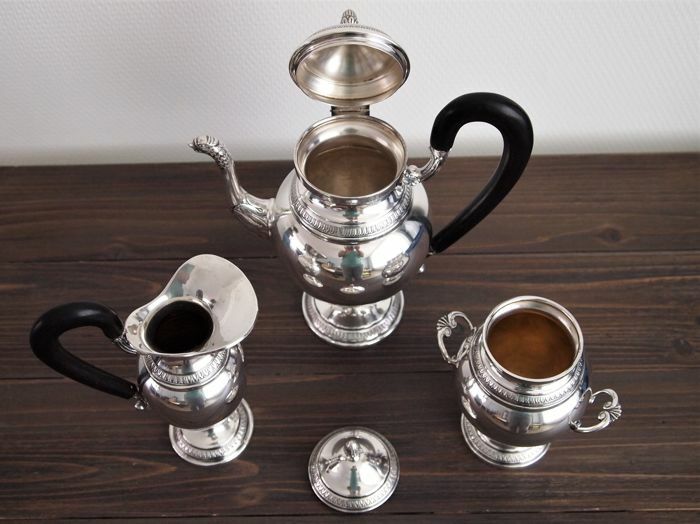 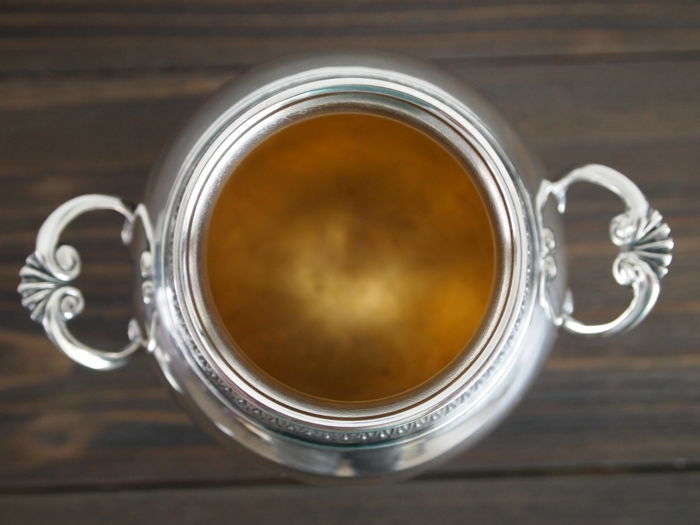 Consisting of 3 peaces a Coffeepot ,Creamer and a Sugarbowl. 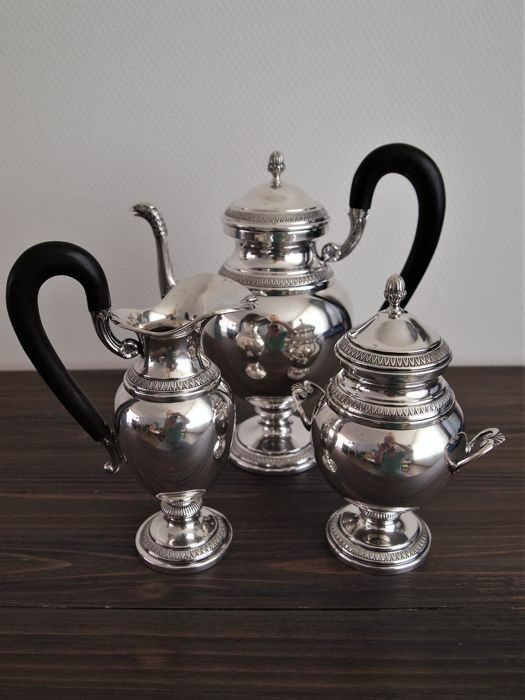 This Italian set is very well made and executed in the characteristic Empire style with beautiful patterns and decorations that make,s them real eye-catchers. 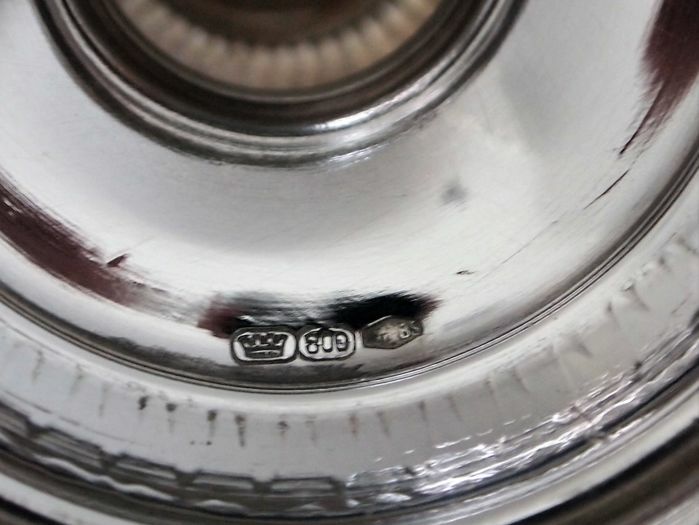 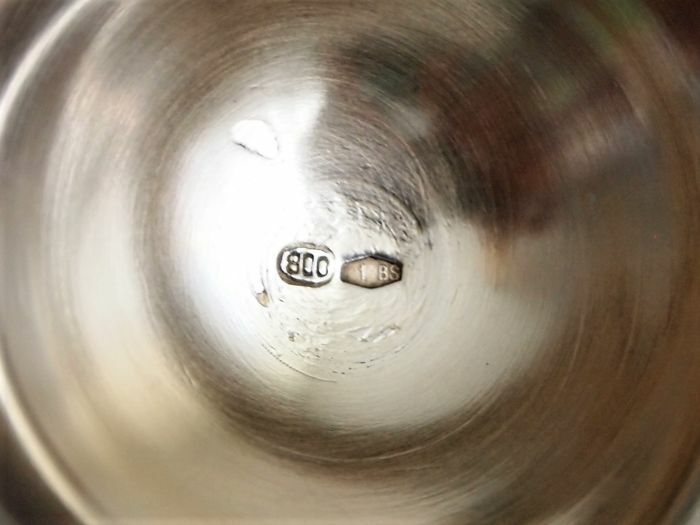 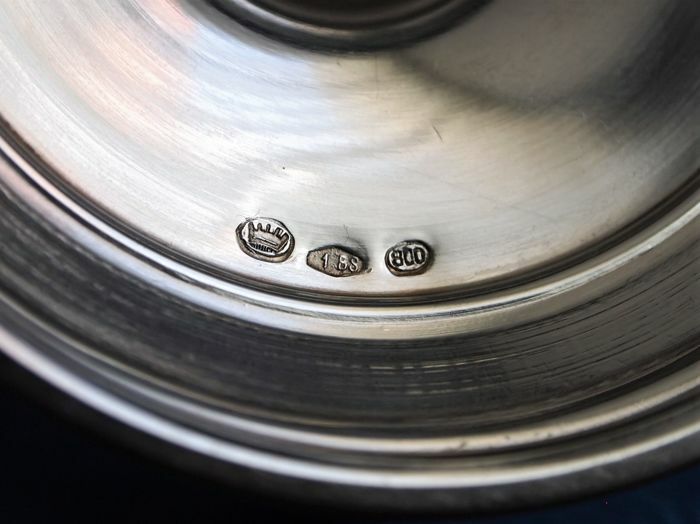 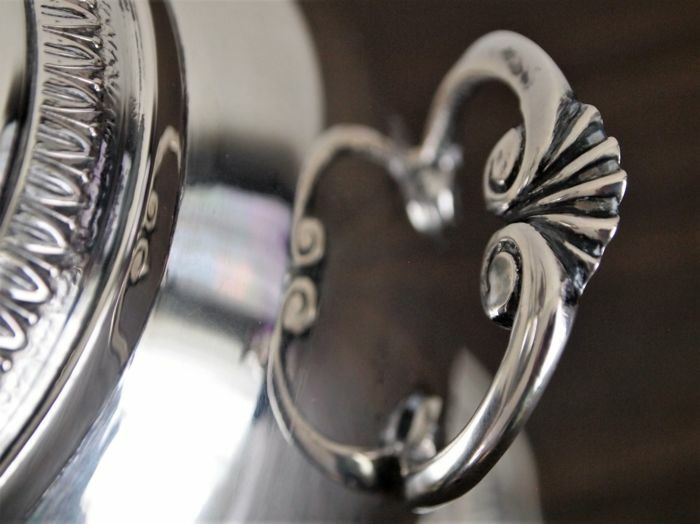 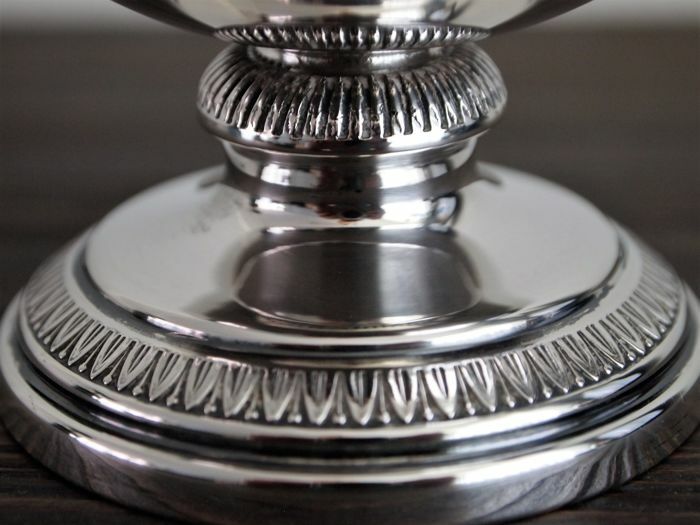 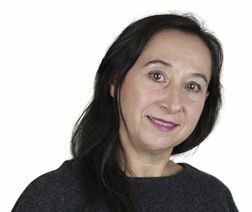 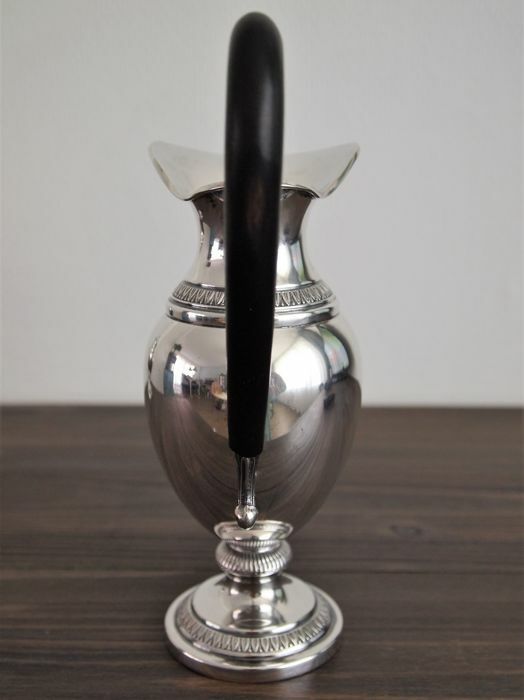 The '1 BS' is the official Italian registration mark, Petruzzi & Branca were the first silversmiths to register in the province of Brescia following the legal requirement of all those working in precious metals to be recorded.